I’ve always been the type of girl who would rather throw on a pair of jeans and sneakers, so when it came to jewellery I always found it hard to know what I was after. It always made me feel too feminine and “done”, so for many years I wore nothing. As my style has evolved, so has my understanding of jewellery and how I can pair it back. Jewellery brands like F+H have been game changers for me and I know I am not alone. I think we’re all after pieces that are timeless, amazing quality and something that we can wear constantly. I know that I don’t like to reserve pieces for “special occasions” because let’s face it, life should be lived to the fullest and our best should always be on show. Of course I have my family heirlooms and my diamond earrings I received from JD circa 2010, but for the rest of my collection, I like to know I can wear them around the clock. F+H items are the perfect pieces to pair with jeans, sneakers and a t-shirt one minute or a little black dress the next. They modern, yet could be mistake for decades before our time. They add that little something that every outfit require, but still allow you to appear effortless all at once. I love sharing inspiring ladies – People With Substance if you will, so today I am sharing a moment with Sharona Harris – the brains and director behind F+H. Keep on reading if you would love to hear what inspires her, who she looks up to in business and what living a life filled with Substance means to her. Thank you Sharona for taking the time to chat! Tell me the F+H Jewellery story. How did you begin? Is jewellery something you have always been passionate about? F+H Jewellery started because I couldn’t find jewellery to suit my aesthetic. 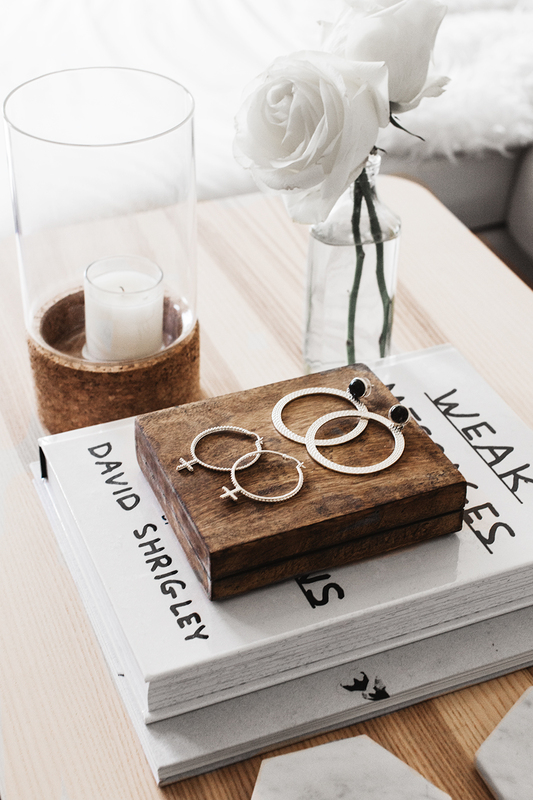 There are a lot of great jewellery brands, however they are generally very minimalist and fine or quite bohemian, there was nothing that I liked that suited my tough-luxe styling… so from this F+H was created! Inspiration can come from anywhere, such as vintage jewellery, past fashion trends from the 60s, 70s and 80s, art, movies and architecture… anything that catches my eye! What does living with Substance mean to you? Living life with integrity, being true to yourself and everyone around you. If you say you are going to do something, make sure you do it. Who is the F+H woman? She is fun-loving and confident, loves listening to music and can’t wait for the weekend to enjoy late nights dancing in her favourite little black dress and statement earrings. By day it’s her favourite jeans and leather jacket… with ample jewellery of course. What was the best piece of advice given to you over the past 10 years? I apply this to my fashion choices, my homewares and now my brand. If you are going to buy something take the time to invest in a piece that will give you years of enjoyment. I also make sure F+H Jewellery will my customers years of enjoyment by using the highest quality plating and natural gemstones to create a premium product. Who do you look up to in business? Is there a particular person you admire for their achievements? Kym Ellery is someone that I think has achieved great success, here and overseas, at such a young age, and she is not just an incredible designer but a very savvy business woman that has created an iconic brand. Describe the time you realised you could take a hobby and turn it into a business – what advice would you give to someone who has a hobby, but doesn’t know when to take the next step? I have always worked for entrepreneurs, so running my own small business has been a natural progression for me. My advice to anyone wanting to start their own brand is to remember that a business that doesn’t make any money is just a very expensive hobby… so you need to realise that to turn your hobby into a successful business you need all the pieces in places, such as marketing, distribution, PR, branding etc. Start with a business plan of how you are going to sell your product and the costs involved and go from there. What is your favourite piece from the latest collection? 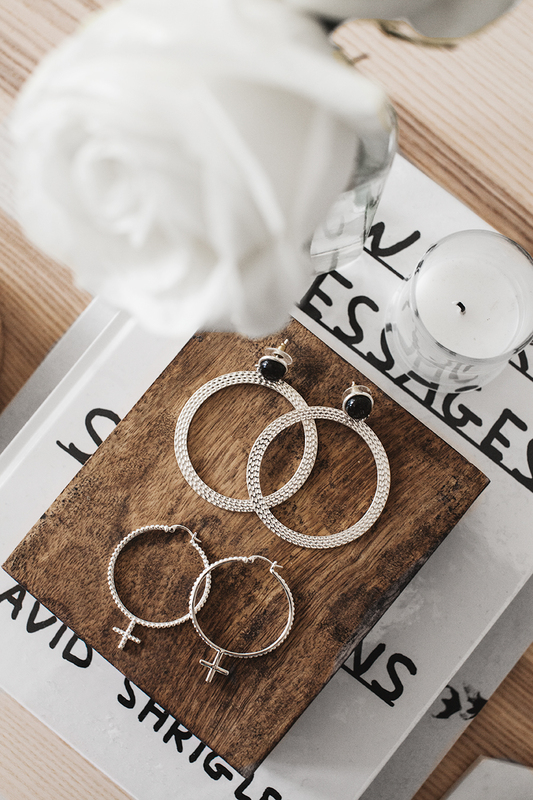 The Jerry hoop earrings, based on the Venus femme symbol are my new favourites. 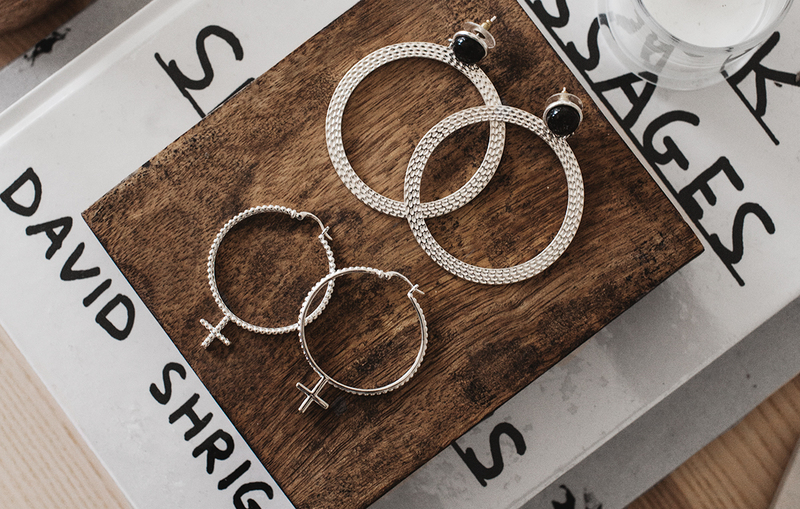 They are really lightweight and easy to wear, and the over-sized hoop makes them a great statement piece. What item of clothing, no matter how many times you’ve gone to throw it out, you just can’t live without? I am really selective about what I purchase, so I don’t really throw out much of my clothing… but I do have a very tight Christopher Esber dress that I should probably let go of… but I think everyone needs one impractically super tight black dress in their wardrobe, don’t they? The beach. I have always lived by the ocean, and for the past 15 years I have been within walking distance to some of the best beaches in the world, Bondi, Burleigh Heads and now Byron Bay and I wouldn’t have it any other way. …My new Bonnie leather neck choker, everyday.